As part of its service to the community, the Case Memorial Library provides study rooms for use by individuals and small groups and meeting rooms for use by not-for-profit groups and local government agencies. For-profit groups may use the meeting rooms for a fee. The Library provides space for discussion and study in two small study rooms that seat 6 people or less. Sign up for study rooms is available on a first-come, first-served basis during regular Library hours. Rooms are available for one hour, though additional time may be granted if no other patrons are waiting. Maximum Capacity: 75 seated, 150 standing. 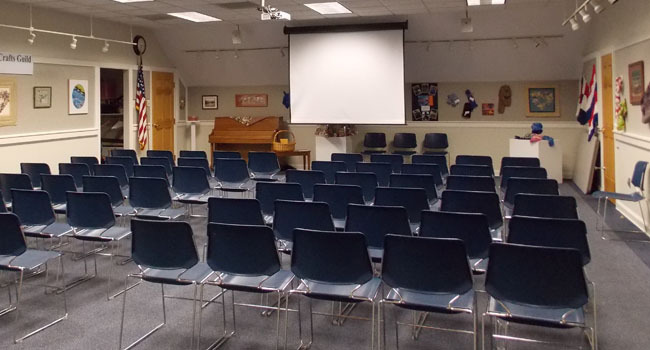 The Meeting Room is the perfect space for film screenings, lectures, and more. Located on the second floor of the Library, the Meeting Room can accommodate many different seating arrangements for up to 75 people. Amenities include WiFi access, a large screen and ceiling mounted projector, a DVD/BluRay player, microphones, a piano, and a podium. 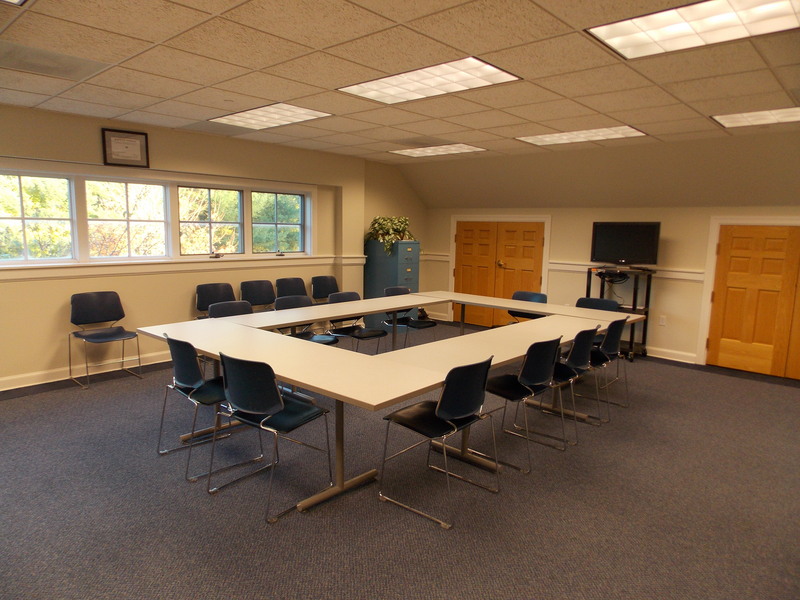 The Conference Room is ideal for a more intimate group meeting or presentation. The Room features 4 tables in a conference-style configuration with seating for up to 16 people. The room holds up to 24 additional chairs to accommodate presentations. The Conference Room is located on the second floor of the Library. Reservations for the Meeting Room and Conference Room may be made for the current month, plus three months in advance. Reservations are accepted on a first-come, first-served basis with priority given to Library programs, Library-affiliated groups, not-for-profit organizations, local government agencies, and for-profit groups, in that order. Reservations are not accepted for the Study Rooms. To reserve the Meeting Room, Conference Room, or Craft Room please click Request a Meeting Room and complete the form. You will receive a response to your request within 2 business days. All meetings must be free and open to the public. With the exception of books and other resources sold at Library-sponsored activities, no products or services may be advertised, sold, or solicited. Groups may not advertise that meetings are sponsored, co-sponsored or approved by the Library, unless written permission is previously given by the Library Director. The Case Memorial Library will not provide storage of materials for any group. Alcoholic beverages may not be served or consumed on library property.